The human brain contains around 86 billion neurons, and 86 trillion connections between these neurons. That is more connections than there are stars in the Milky Way galaxy, or galaxies in the known universe. The human brain is one of the most complex and wondrous things we know of, and is the product over three and half billion years of evolution. There is much we can do to look after our brain, and by doing so we in effect are taking very good care of ourselves. A healthy brain is essential for a healthy happy life. One way we can boost our brain is by increasing its natural inbuilt capacity for neurogenesis. Neurogenesis is the birth of new neurons from neural stem or progenitor cells in the brain. It was long considered that the number of neurons was fixed and they did not replicate after maturity of the brain. It wasn’t until the 1990’s that neurogenesis was observed in the brains of humans, other primates and a number of other species that led to its widespread scientific acceptance. This area is an example of a complete scientific turn around. Neurogenesis has been found to occur in two brain regions; the subventricular zone and the hippocampus. The hippocampus plays a key role in learning and memory, and alterations have been linked to a variety of cognitive pathologies such as anxiety, depression, addiction and neurodegenerative diseases such as Parkinson’s. A reduction in hippocampus volume has been observed in patients with depression and other cognitive disorders. 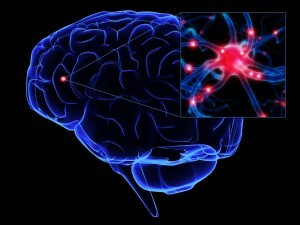 Neurogenesis declines with age, but as will be discussed there are a number of things than can be done to remedy this. In this article I will cover a wide array of things we can do and things we can consume to boost our brains and enhance this amazing process. Cardiovascular exercise such as running, interval training, cross fit and or yoga are the single most effective ways of boosting neurogenesis; they come with a vast array of health benefits for mind and body, and are also important stress relievers. The endorphins produced acting as a potent antidote to cortisol, the stress hormone, which with long term exposure is highly corrosive to the brain. Exercise has been found to increase levels of brain derived neurotrophic factor (BDNF) and glial cell line-derived neurotrophic factor (GDNF), two key growth factors supporting neurogenesis. It also increases hormones such as testosterone which also seem to have a extremely beneficial effect on neurogenesis, and act as a buffer against the effects of psychological stress. Maintaining a healthy level of physical activity is increasingly important as we age. Diet plays an important role in brain health and neurogenesis. Excess refined sugar has a detrimental effect on the brain, and refined and processed foods should be avoided when possible. The brain is 60% fat, and the right fats are essential to healthy brain function. These may constitute a certain proportion of plant and animal fats. Omega 3 fatty acids, in particular docosahexaenic acid (DHA) seems of particular importance with regard to neurogenesis, with rich sources including oily fish and some plant oils, hemp in particular. This fatty acid is a major structural component of the brain and many other parts of the body. Hemp seed is cheap and a food highly supportive of brain function. It contains all essential amino acids in a well balanced ratio in a highly degistible form, a number of minerals, vitamins and trace elements, and a single tablespoon contains all our daily requirements for essential fatty acids. Avocado’s are another particularly excellent brain food. Other things such as blueberries and green tea may also be beneficial to brain health and supportive of neurogenesis. Some foods have more direct effects on the process, such as the spice turmeric. Curcumin is the main active compound in the spice, and has been found to increase BDNF levels while acting as an antidepressant with an effectiveness equivalent to SSRI’s but without their side effects. It also has a range of other medicinal uses currently being examined through research, as it has anti cancer properties. There are a number of recipes that it can be incorperated into, and the alkaloid piperine in pepper has been found to increase curcumin bioavailability by up to 2000%. An easy, non-toxic guide using cooking oil to prepare a turmeric extract can be found: here. There is an ever growing body of scientific evidence to support the benefits of mindfulness meditation. It has been found to lead to cause an increase in grey matter density in a number of different brain regions, including the hippocampus. The method is straightforward in theory but can be a challenging thing to practice. It doesn’t require any belief in Buddhist or other religious or spiritual doctrine to be effective. One sits comfortably, with spine erect. Eyes are closed or half closed, and a few deep breaths taken, while feeling the various sensations of your body wherever you are sitting. Become aware of your breathing, and allow attention to rest on the sensation of breathing. If your mind wanders, bring it back to your awareness of breathing. Sensory phenomena may be experienced; one can notice these but should not engage with them. Allow them to rise and pass away and turn attention back to focus on breathing. If you find your mind has wandered, return focus to breathing. Persevere with this for ten to fifteen minutes a session when you are starting out. A variety of other life style factors influence neurogenesis. Sleep deprivation reduces hippocampal neurogenesis and is highly detrimental to brain function, but following short term sleep deprivation the brain can recover deficits with a temporary increase in neurogenesis. Recent research suggests sleep plays a key role in brain detox, and doubles the rate of neurogenesis of oligodendrocyte cells, which manufacture myelin which protects the brain’s circuitry. Getting enough good quality sleep is essential for a healthy brain. Exposure to sunlight is well known for its role in increasing vitamin D, but it also increases serotonin levels, testosterone and GDNF expression in the brain. Exposure to sunlight is a healthy act, if exposure times are limited to times of day when it is safest to do so, when exposure to UV rays is reduced. Only a brief exposure of around ten minutes to the face can have a positive effect on the brain. With a few interesting exceptions, the majority of psychoactive compounds tend to have a negative impact on neurogenesis. Of these chronic alcohol use is likely one of the most important and widespread causes of impaired hippocampal neurogenesis. Alcohol intake also increases cortisol levels, having a further knock on effect. Tobacco, stimulants, opiates, entactogens and some psychedelics are associated with a reduction in neurogenesis. Ketamine has been found to significantly increase expression of hippocampal BDNF in rats and in blood plasma levels of BDNF in humans, and has the ability to induce growth of new synapses and reverse synaptic deficits associated with chronic stress and enhance neuroplasticity. It has been known to work as a potent and rapidly acting antidepressant in treatment resistant depression, and it is possible that part of this effect may be down to the role it plays in modulating neurogenesis. Chronic ketamine abuse is associated with bladder damage and potential neurotoxicity, but it is possible it could form the basis of a new range of safer and more effective antidepressants. 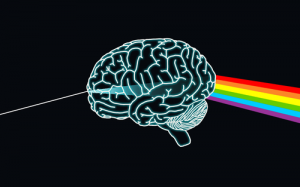 Psilocybin has recently been found to increase hippocampal neurogenesis in mice, and increased the speed of their ‘unlearning’ of negative fear behaviour responses when compared to drug free controls. This could mean psilocybin may have applications for treating PTSD in humans, a syndrome characterised by highly abnormal brain function, including impaired hippocampal function. Studies with high doses of psilocybin have found they can induce long term, positive changes in personality and feelings of life satisfaction and well being. Openness is one of the five measures of personality, and is significantly changed in the long term by psilocybin, especially if people have a mystical experience during a session. This is of great interest, as after the age of 30 personality is thought to be fixed and openness is generally thought to decline with age. This change in personality remained as strong 14 months after the session, and appears to be long term. Openness covers personality traits such as an appreciation for new experiences, broadness of imagination and finding value in aesthetics, emotion and curiosity, with an increased hunger for knowledge. These changes are associated with enhanced neurogenesis and neuroplasticity. Thus psilocybin has the potential to act as a multifaceted brain tonic, and could have a number of therapeutic applications, yet remains highly illegal and is deemed to have “no medical use and a high potential for abuse” around the world. Ibogaine is a key alkaloid responsible for the psychoactivity of the root bark of Tabernanthe iboga used for spiritual and healing purposes in central Africa. It has been found to increase levels of GDNF, and in a long term fashion via an autoregulatory, positive feedback loop. The increase in GDNF expression in turn signals neurons to increase levels of mRNA levels to support further GDNF production, and a single dose of ibogaine can increase GDNF expression for weeks, depending on dosage. Ibogaine is also highly lipophilic (it loves fat) and remains in body tissue for months, gradually being released, further extending its influence on GDNF expression. 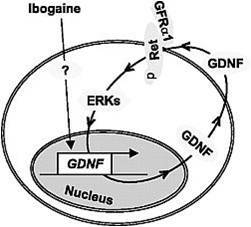 It appears this increase in GDNF expression is responsible for part of ibogaine’s well known addiction interrupting effects. GDNF infusion has been used in the treatment of Parkinson’s disease, but is an invasive procedure. It may be possible for future compounds to act as pharmacological vectors to increase GDNF expression in the brain in the treatment of Parkinson’s disease and of cognitive pathologies such as addiction. Plants such as the ayahuasca vine (Banisteriopsis caapi) and Syrian rue (Peganum harmala), are sources of harmine and both have a long history of human use as medicines. 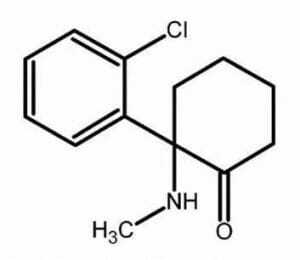 Harmine acts as a reversible monoamine oxidase A inhibitor increasing monoamine levels which has an antidepressant effects in humans. Acute administration has been found to increase BDNF levels and induce antidepressant-like effects in rat hippocampus and may suggest a novel pharmacological target for the treatment of depression. Use of ayahuasca has been found to lead to a long term increase in platelet 5-hydroxytryptamine (5-HT) transporters and recent neuroimaging research has shown changes in brain structure in long term users, with associated beneficial effects, this being indicative of changes in neuroplasticity. DMT is very closely related to psilocybin which has neurotrophic properties. It has been hypothesised this endogenous compound may play a role in neurogenesis, neuroprotection, brain development and cellular regeneration. Cannabis may have a positive effect on neurogenesis. Studies with a synthetic cannabinoid closely related to THC in rats found an increase in hippocampal neurogenesis, with associated anti anxiety and antidepressant behaviour. When this process was blocked via X-irradiation, neurogenesis was blocked and the anti anxiety behaviour was no longer observed, suggesting a link between the two. Much cannabis has been bred to be high THC (responsible for the psychoactive effects) and low cannabidiol (CBD), which competes for the same receptors in the brain. CBD is more common in indica strains and has been implicated with neurogenesis and as a neuroprotective agent, and research implies it may be neuroprotective against both heavy THC and alcohol exposure. It is a molecule of increasing medical interest; as well as being a powerful antioxidant; it is an anti psychotic compound that balances out the effects of THC. Other cannabinoids have been found to have neurotrophic properties. Cannabichromene has been found to enhance survival rates of neural stem progenitor cells as they differentiate into different types of neuron. High CBD containing strains may be preferable with regards to brain health, and to get the most out of cannabis, vaporizing and consuming it orally are the most healthy and efficient methods. 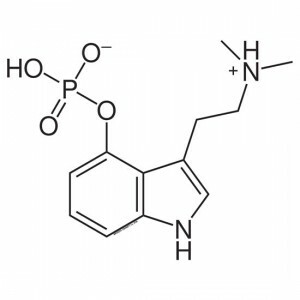 The dipeptide compound Noopept (N-phenylacetyl-L-prolylglycine ethyl ester) has been found to have nootropic and neuroprotective properties and chronic treatment. It causes an increase in BDNF expression in rat hippocampus, with an increase in expression of mRNA for BDNF and nerve growth factor (NGF) following acute administration. Agents such as noopept may prove of value in the treatment of some forms of brain damage and associated learning and memory deficits. However long term treatment with noopept may lead to a downregulation of TrkB receptors, which are associated with neurotrophins and of neuronal survival and differentiation in the brain. Thus Noopept may be best used in a cyclical fashion, allowing the brain time to reach equilibrium between uses. Of interest is the fact that the compound may provide little benefit to already healthy brains. Melatonin is an endogenous neurohormone produced by the pineal gland that has neuroprotective and antioxidant properties and may maintain and augment neurogenesis. It has been found to increase cell proliferation and survival in the hippocampus of ageing mice. The hormone has also been found to enhance the survival of new neurons, and encourage growth and maturation of dendrites and lead to greater dendritic complexity and an increased volume of the granular cell layer in the hippocampus of adult mice. The modulating effect of melatonin in neurogenesis could have important implications regarding cognitive ageing and neuropsychiatric disease. THC in cannabis has been found to profoundly raise levels of melatonin, potentially building on the benefits of THC, CBD and other cannabinoids. Although melatonin levels decline with age, there are ways to increase production of the hormone, via life style activities such as certain types of meditation and yoga, and one can supplement their own melatonin production through diet, with certain foods such as fruits, seeds, grains and vegetables being rich sources of dietary melatonin and its precursory amino acid, 5-Hydroxytryptophan (5-HTP). Dietary melatonin (cherries, walnuts and ginger are all rich sources) appears to be far superior to taking it in the form of a synthetic supplement. The act of learning itself is associated with neurogenesis and enhanced neuroplasticity, so a hunger for knowledge and openness to experiencing new things are themselves brain nourishing activities, so a life of learning and experiencing new things is a recipe for a healthy brain. Neurogenesis is a cutting edge frontier of research, and there is still much that remains unknown about the implications of this process and the functional role it plays. We have the power to influence this amazing process however, and it may act to keep depression, anxiety and neurodegenerative diseases at bay, while allowing us to maintain healthy brain function into old age. One thing is certain, and that is growing yourself new brain cells isn’t going to cause you any harm. I have a lifelong interest in nature and wildlife and in more recent years this fascination has extended to mind, consciousness and altered states. I have an academic background in physical geography, ecology and entomology and am an experienced field biologist. 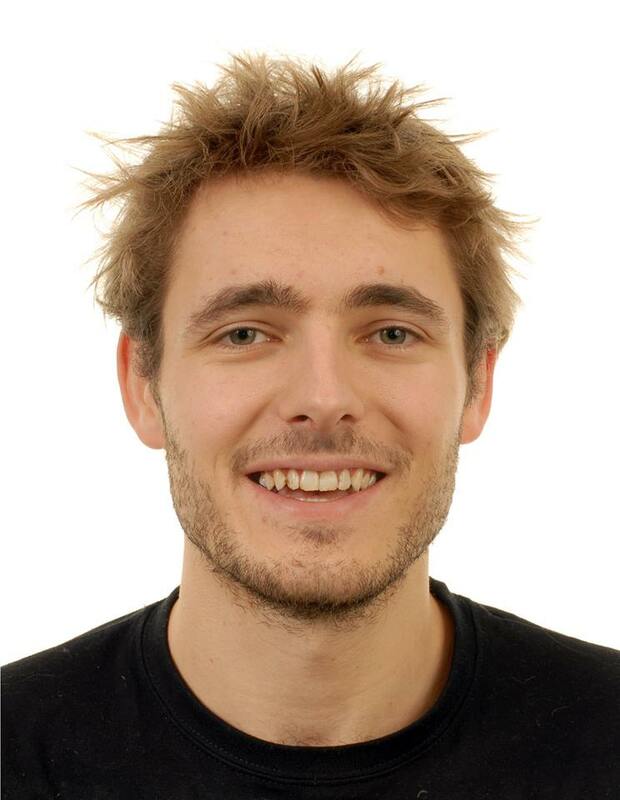 I’m currently enrolled in a PhD in ecological sciences at the University of Aberdeen. I have a passion for travelling the world, and this mirrors a strong interest in inner world travel. I enjoy writing about a variety of topics, and have published articles and chapters in a number of sites online, including Reality Sandwich, High Existence, The Nexian and I am a regular PsyPress UK contributor, as well as contributing to a number of books. I also enjoy speaking about a variety of topics and have delivered presentations at a number of different conferences.